When the need arises to hire an attorney, there are some guidelines which should be shared with the general public. We have learned that most people choose attorneys by looking to the experiences of their friends, which can often prove to be a mistake. An important ingredient in the selection of a competent lawyer is to contact more than one lawyer, and if possible, scheduling more than one interview. The selection process should begin by contacting the State Bar Association to seek a list of attorneys belonging to the section of the State Bar Organization, in the appropriate area of practice. 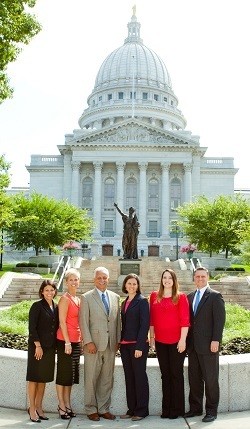 For example, we are members of the Family Law Section for the State Bar Association. A list of family lawyers can be provided to the general public upon request. The “Yellow Pages” provides lists of attorneys by area of specialization, although it must be remembered that these advertisements are representations by the attorneys as to their areas of expertise, not a designation by an independent authority. After a number of attorneys have been chosen, interviews of those lawyers should be conducted in person, or by telephone. Inquiries should be made about areas of specialization for each lawyer, hourly rates, and years of experience. For example, if asked, we can indicate that we presently work exclusively in the family law and juvenile court and have a substantial practice in arbitration and mediation. We can advise that we have been conducting mediations for more than 20 years, representing individuals in divorce or custody disputes for more than 35 years. “Retainers” are usually a deposit against fees which are anticipated in the matter for which the lawyer is hired. Sometimes retainers are non-refundable, but credit will be given for all time devoted to the case. On other occasions, more substantial retainers are required as security for fees and the balance in the attorney’s trust account will be refunded to the party if all of the deposit is not used for fees. Careful inquiries must be made as to the nature of the fee agreement and retainer requested and whether or not full credit will be given to the party for the amount deposited with the lawyer. Smaller retainers do not necessarily mean that large fees will not accrue and it is possible that a lawyer will become disinterested in a case where significant balances of fees are due and not being paid. Flat fees are offered by some attorneys which means that a party might pay one (usually larger) fee for the entire matter. However, in the event that the complexity of the matter requires time and energy beyond the scope of the requested retainer, it is also possible that the attorney will lose interest in the case when a flat fee is used. Schuster Family Law does not use flat fee arrangements.